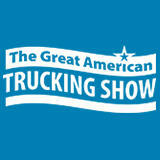 The Great American Trucking Show is an interactive and all-encompassing public convention of trucking professionals. It represents truck, trailer, engine, component and parts manufacturers, among many others. It exists to create an interactive, energizing environment entirely focused on trucking’s improvement. Honestly need more trucks and drinks and food were crazy expensive. You could charge less for that. Was a good opportunity to meet truck dealers, manufacturers and also drivers. Modern methods of fleet management was also part of the issues discussed at the show. 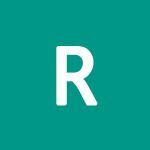 All types of Commercial Vehicles, Truck & Bus Coach Builders, Commercial Construction, Vehicles, Accessories, Commercial Automobile Components, Engine & Body Parts, Tyres & Retreading, Service & Workshop Equipment, Material Supplies, Fleet Management System etc. Hampton Inn & Suites Dallas Dow..